With this dreadful Polar Ice winter finally behind us and, so far, this spring a very mixed bag, we all—New Yorkers and Visitors—dream and long for an amazing summer, June through September, possibly October. With so many local and citywide events planned, some part of a national effort, calendars are filling with urls, notes and plans. Can’t do them all, sometimes we can do even 2-3 on a particular. The Holiday Inn Manhattan View has researched events for our guests with much pleasure. Kicking off the 2014 Celebrate Brooklyn! at the Prospect Park Band shell’s season in intergalactic style and a free concert featuring Janelle Monaade on Wednesday, June 4. Star-studded line-up includes the R&B-soul-pop, reunited bluegrass superstars Nickel Creek, a tribute to jazz pioneer Ornette Coleman, the otherworldly St. Vincent, as well as salsa, movies, dance, hip-hop, reggae, jazz, rock, folk and much, much more. Weekdays, 10 AM to 6 PM. Weekends, Memorial Day and Labor Day, 10 AM to 7 PM. 2014 is filled with amazing events and the views from the island are spectacular. Daily ferries from Lower Manhattan, from Brooklyn Bridge Park on Saturdays, Sundays, Memorial Day and Labor Day. $2.00 adult fare round trip. Children under 12 free; seniors’ fares half price. Morning ferries (10 AM and 11 AM) Saturdays and Sundays are free for all. No surcharge for bicycles. Tickets at the Battery Maritime Building in Lower Manhattan or Pier 6 in Brooklyn. Also available online in advance. Bring your bicycle or rent one on the island. Free Bike Mornings: a new program allows visitors to borrow a bike free on Governors Island for up to one hour every weekday between 10 AM and noon. Long Island City Conception Events invites artists of all backgrounds to submit works for this exhibit. Celebrate “up and coming talent” to showcase them to as many people as possible. The Holiday Inn Manhattan View joins with other venues to make this a truly exceptional event. Pit masters from NYC, Alabama, Texas, Tennessee, North Carolina and other locations near and far descend on Madison Square Park for the annual lip-smacking food festival. In addition to some seriously tender vittles (only $9 a plate! ), folks can enjoy live blues, rock and country music (and catch seminars on the art and science behind the brisket and ribs). Madison Square Park is always fun, set in a hip neighborhood just above the iconic Flatiron Building. Don’t miss this annual festival, offering free access to museums along 23 blocks of Fifth Avenue’s Museum Mile during extended evening hours. The eight museums along the mile are El Museo del Barrio, the Solomon R. Guggenheim Museum, the Metropolitan Museum of Art, the Cooper-Hewitt/Smithsoninan gardens (galleries closed for renovation), the Jewish Museum, the National Academy Museum, Neue Galerie and the Museum of the City of New York. Along with the opportunity to see some of the world’s finest art collections, the avenue is alive with international entertainment, live music, face painting chalk drawing and new events each year. Kicks off at 6pm, rain or shine. This is surely a yearly favorite with New Yorkers, and we love to share the experience and photo ops with everyone. For more than 25 years, SummerStage has been the City’s preeminent outdoor concert series. A number of high-profile benefit shows fund a slate of more than 100 free performances, including readings by famous authors, opera, kid-friendly events, parties with bands from around the world and theatrical and dance productions. The festival remains in Rumsey Playfield in Central Park, but now, the sponsored concerts and events are performed in all five boroughs. An annual arts festival since 2002, River To River has become a welcome feature of Lower Manhattan culture, providing lively way to experience the waterfronts, parks, plazas, hotels, historic landmarks, temporarily vacant office spaces, and other sites downtown. Much has changed since that first season, with new venues and open spaces, performances for everyone in housing projects, parks, historic landmarks, along the waterfront and On Governors Island. Come and socialize with the festival artists and everyone else! Now in its eighth year, called “the largest music event ever to grace Gotham” here is a unique festival of 1,000+ free concerts in public spaces throughout the five boroughs of New York City on the first day of summer, simultaneously with similar festivities in more than 726 cities around the world. 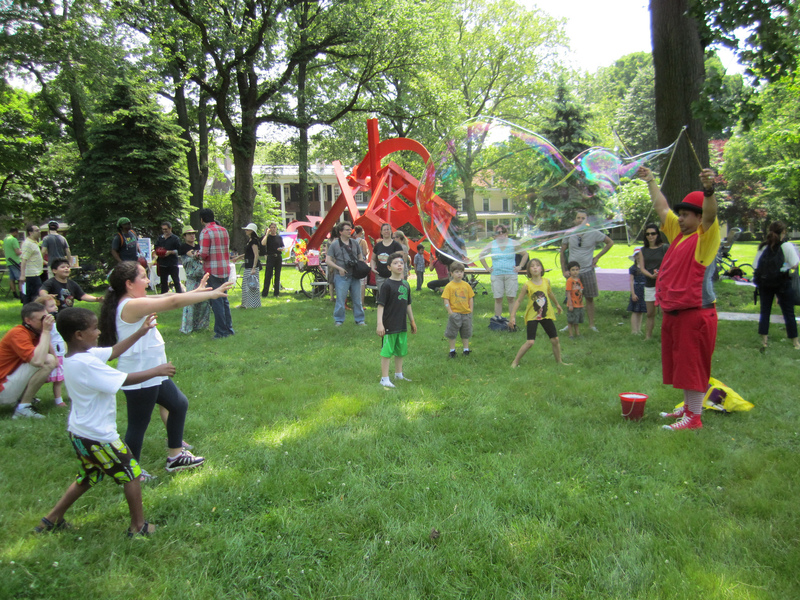 MMNY is open to anyone who wants to take part, musicians of all ages, creeds, and musical persuasions. From hip hop to opera, Latin jazz to punk rock performing on streets, sidewalks, stoops, plazas, in cemeteries, parks and gardens. Celebrating its 17th year, the museum’s highly anticipated outdoor music series will continue its tradition of introducing audiences to the best in experimental live music, sound, and DJs—both local and international—across a range of genres. Warm Up supports both established and emerging artists by creating a platform that allows for experimentation and provides a space for collaboration, new material, and side-projects. Our city opens its stunning waterfront for all to celebrate. Free ferry rides and boat tours, shoreline foods and hundreds of activities, music, Governors Island celebrations. Long Island City and New York share the day with New Jersey, just as we share the harbor. What a great day to plan for during your visit! 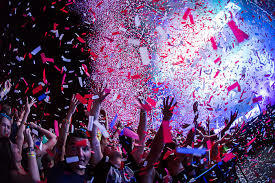 Downtown Brooklyn and Midtown Manhattan vie this day for the title of Biggest Bastille Day Bash, when the crowds storm the stands for crepes, pastis, pommes frites, fromages, éclairs, wines and beers…and lots of other treats. Tri Coleurs flags are everywhere and there’s music! In Brooklyn, the heart of the festivities—the petanque tournament! This is huge (well, for America and NYC) and bocce fans enjoy this French version that uses steel balls instead of wood. It’s also French Restaurant Week in the city, with special celebration menus. Held in Flushing Meadows Corona Park in Queens, it has become a multicultural annual sporting event. 120 teams from across America participate, with the competitive race just part of a day celebrating the fifth month on the lunar calendar. That means: traditional Chinese foods, performances, colorful souvenirs and a really special day of memories. Cash prizes and trophies for the winners, and it’s free for everyone, with a rain or shine promise for the day. The tennis greats from throughout the world challenge, and challenge again, as they move towards this final Grand Slam tournament of the year. Careers take off or, unfortunately, fall apart at the US Open. If you can be there only during the early days, tickets can be very reasonable and viewers can watch several sets. The last days of play—sell out, all thrills. An easy commute from the Holiday Inn Manhattan View. Ringing in the New Year is always exciting, from house parties to quiet dinners, everyone across the globe has their way of celebrating. In case you should find yourself without a plan this chilly New Year’s Eve, see one of our suggestions below and ring the new year in right. As always, Like us on Facebook and follow us on Twitter. 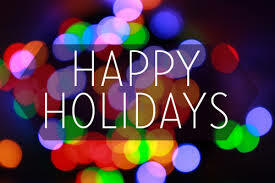 Happy Holidays to you and yours – Holiday Inn Manhattan View. If you’re spending time in a New York City hotel and want to tour Manhattan, you can see the sights pretty easily — and in this case, you can do it with a twist! The Ride gives passengers the quintessential New York with a kick. This isn’t just a bus ride, it’s a bus ride combined with a theatrical experience. Turning the city into a stage with music, dance, and loads of info about the city, The Ride is a super-sized, technologically amped bus that travels the streets of the city. 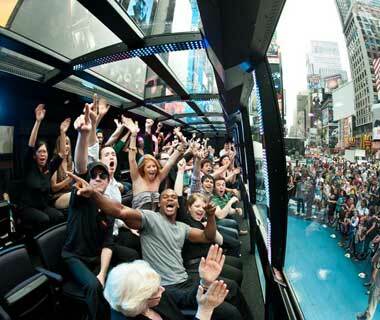 Passengers have front row seats to the Big Apple with stadium seats facing massive windows. Riders won’t miss a single moment of this 4.2-mile route. The best part is that if you’re ever in need of something to do or want to see more you can go back because you’ll never see the same show twice! The bus travels from Grand Central Station to Central Park, giving riders a first look or a whole new look at New York and its people in a way we bet you’ve never seen before! Yes, you might learn something, but more importantly, you’ll laugh and you’ll be amazed! The next time you’re visiting the city, or even if you already live here, don’t miss your chance to experience the greatest city on Earth in this unique way. Whether you’ve lived around Manhattan for many years, you’ve just moved, or you’re just visiting, this is a great show! For more great things to do in New York City, be sure to follow Holiday Inn Manhattan View on Facebook! Five New York Museums You Have To See! New York City is known for its sports, nightlife, and hustle and bustle, but when it comes to spending time in New York, it also boasts something else worth talking about: Some of the world’s best museums. Here are five of the best you HAVE to see when you are staying in New York hotels. If you like science, you need to go here. 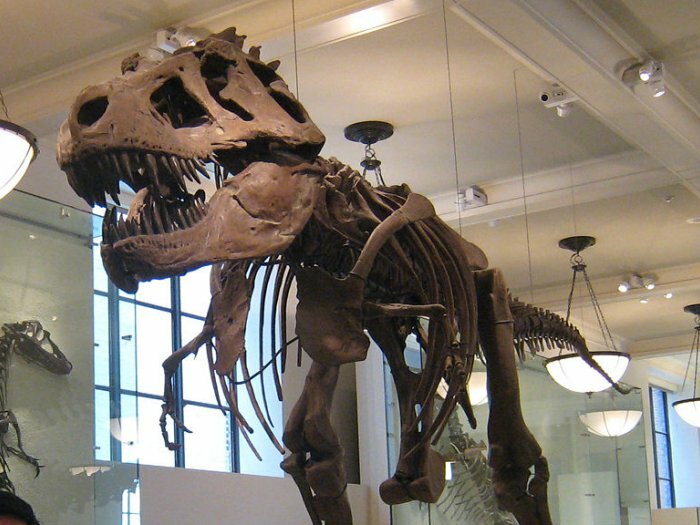 One of the most beloved museums in the world, the American Museum of Natural History is one of the largest and one of the most FUN. No forgets the first time they see the massive dinosaurs or the life-sized replica of a blue whale hanging from the ceiling. With 25 buildings (all connected) and over 45 exhibition halls, it is easy to spend an entire day or two here. For families especially, this museum should not be missed. Art lovers rejoice. This stately, elegant and historic location is also the largest museum in the United States. Located along Central Park and boasting over 2 million pieces in its permanent collection, this sprawling collection of art spans all of history and features some of the best pieces in the world. The history on display here is astounding! A must-visit for museum lovers. Located in Midtown Manhattan, those interested in contemporary art will make this one of their essential stops. Often cited as the world’s most influential museum when it comes to modern art, it boasts a sprawling collection of photography, prints, film, sculpture, books, and much more. From Monet to Picasso, many of the most groundbreaking works of art of the last 100 years can be found here. The Guggenheim Museum is as iconic for its Frank Lloyd Wright-designed building as it is for its vast collection of impressionist, modern, and contemporary art. 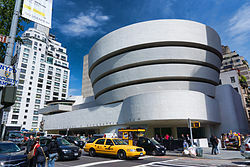 There are other sister Guggenheim Museums in the world, but none are located in the heart of New York. Essential for modern art lovers! The American experience is incomplete without the immigrant experience, and there is no better place to fully grasp the immigrant experience than on the grounds where so many entered this country. The Ellis Island Immigration Museum is an educational trip through time that all those interested in America’s story should experience. These five museums only scratch the surface. When you are looking for hotels in New York City, be sure to check for the nearest museums, too. You will be glad you did. In the meantime, come follow us 0n Facebook!